Tomorrow, we visit Spencer, Warrick, and Vanderburgh County to continue on the journey of remembering and celebrating Indiana’s 200th Birthday. Spencer County, which is where the torch will start tomorrow at 10 am (Eastern time), is also where the 16th President of the United States lived during his adolescent years. Abraham Lincoln, along with his father, Thomas Lincoln, mother, Nancy Lincoln, and sister, Sarah, lived in a log cabin along Little Pigeon Creek, which is a stream located in northwestern Spencer County and northeastern Warrick County (1). The name of this creek is derived from the community of many passenger pigeons that lived in southern Indiana (1). The Lincolns moved to Indiana during a monumental time, Lincoln said as a young boy. “We reached our new home about the time the State came into the Union. It was a wild region, with many bears and other wild animals still in the woods. There I grew up ” (1). The area where Abraham and his family resided for fourteen years allowed Lincoln to “explore the world of books and knowledge” (1). The Lincoln’s time spent in southern Indiana is described as adventurous and heartbreaking, according to the National Park Service. Throughout the 14-year stay, Abraham lost his mother, to milk sickness. Just a year after his mother’s death, Abe was kicked in the forehead by a stubborn horse at a nearby mill. The miller thought Lincoln was dead, but after being unconsciousness for a day, Abe was back to normal (4). Before leaving Indiana, the Lincolns gained a few more members when Thomas married Sarah Bush Johnson, who had three children of her own. The new additions to the Lincoln family helped Abraham become very fond of books and eventually debate. One of Abe’s favorite books was The Life of Washington by Mason Locke Weems (4). Abe did not receive much schooling while in Indiana, but learned a lot by constantly reading and attending school when he had the chance. In March of 1830, Thomas Lincoln sold his land in Spencer County and the Lincolns moved to Macon County, Illinois, and the sites associated with the family began to disappear in Indiana (1). Following Reconstruction in 1879, Peter E. Studebaker placed a headstone to remember Abraham’s mother, and eventually the state acquired Thomas Lincoln’s landholdings and began developing memorial and historic sites to commemorate the family (1). In 1962, President John F. Kennedy signed a bill authorizing that Lincoln’s boyhood home be designated a national memorial (4). Fast forward to present day: Lincoln City welcomes many visitors to the National Historic Site in Spencer County. This historic site gives visitors museums, trails, and a re-created, pioneer homestead where park officials can be seen slipping into period attire, that is essential in telling Lincoln’s childhood story (3). Click here to learn more before planning your visit in honor of Indiana’s Bicentennial. Tomorrow, 200 years after the Lincoln family moved to Spencer County, we celebrate the bicentennial birthday of Indiana. As a way to remember the beginnings of statehood for Indiana and the movement of the Lincoln family to southern Indiana, Spencer County will be hosting a full day of events. As the torch moves through the county tomorrow it will go through Santa Claus, Lincoln City, Gentryville, Chrisney, and Rockport. This exciting itinerary includes, visiting The Indiana Bicentennial Experience Trailer at Lincoln Amphitheatre. Also, while out visiting Spencer County tomorrow, stop by Lincoln Pioneer Village and Museum, Lincoln Boyhood National Memorial, Colonel Jones Home, Lincoln Ferry Park, and Lincoln State Park. 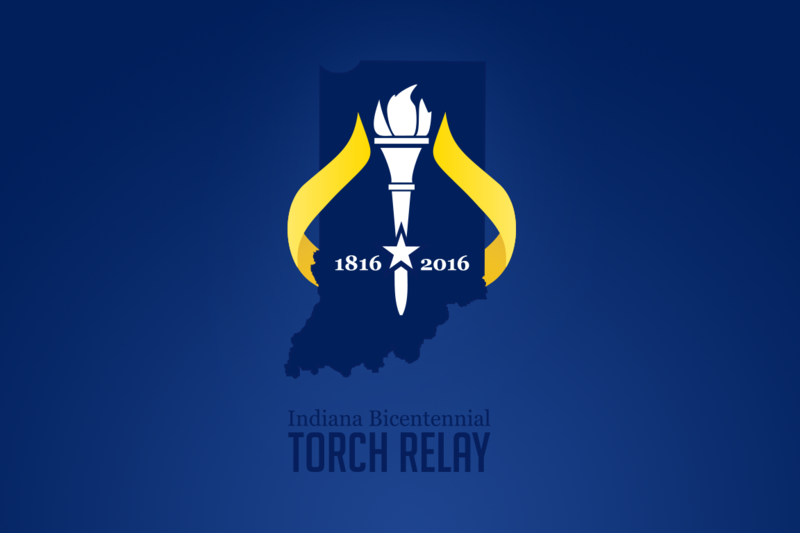 The state park will be waiving admission fees so all visitors can enjoy the torch relay event (2). If you are wanting to go on a drive, hop onto the Ohio River Scenic Byway, which is the body of water that borders the southern coast of Indiana and the northern part of Kentucky. Before concluding your day tomorrow, visit the Santa Claus Museum and Village and explore what the area has to offer, including how Santa Claus Land transformed into Holiday World, and even more on Abraham Lincoln’s childhood in southern Indiana. Click here for a complete list of events going on tomorrow!